Discussions Magazine Music Blog: SPAZ reviews HENRY PRIESTMAN's The Last Mad Surge Of Youth! 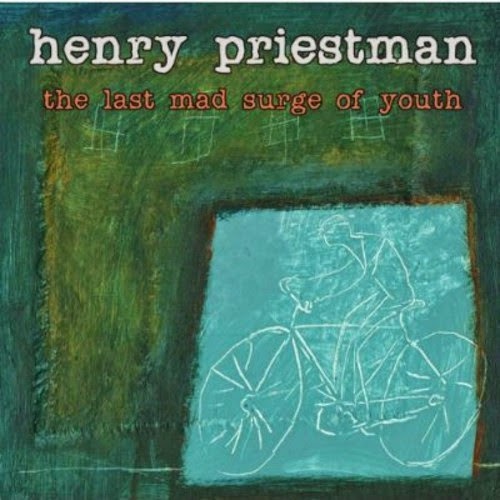 SPAZ reviews HENRY PRIESTMAN's The Last Mad Surge Of Youth! Songwriters grow older just like the rest of us. Those that have achieved some kind of success can either keep bashing out songs for the next 30 years using their tried and true formula or write songs from the heart that reflect their age and their ever-evolving views of the world. Henry Priestman, a 50+ year old singer/songwriter from the UK, has chosen the latter. Henry first came to the attention of the masses as keyboardist/vocalist for Liverpudlian New Wave/Power Pop quartet Yachts in the late ‘70s (they released records on Stiff and Radar in the UK and Polydor in the U.S.). When Yachts split, he joined up with original Yachts vocalist John Campbell in It’s Immaterial, a quirky and thoroughly enchanting band that defies. In the late ‘80s, he then helped form – and wrote a majority of the hits for - the Pop/Soul outfit The Christians with brothers Garry, Roger and Russell Christian (Roger left before the band’s debut album). The Christians were radically different from Yachts and It’s Immaterial, although Henry’s knack for writing catching melodies was still very evident (NOTE: When I first read about British singer/songwriter Seal, the writer called him a watered down version of The Christians!). After chart hits and success, the band stepped out of the spotlight and Henry worked with a variety of artists before inking a solo deal with Stiff Records. In 2008, he released his first solo album The Chronicles Of Modern Life, which found Henry in a different frame of mind and traveling a stripped down acoustic sound that was closer to Folk than anything he’d done before. However, Henry the songwriter was present, more confident and straight-forward than ever before. Six years later, Henry has released his sophomore solo album entitled The Last Mad Surge of Youth and it is everything that Chronicles… promised and more. Still traveling the Folk Rock path, this album is as warm and intimate as his previous album and shows that he is perfectly in synch with who he is as a maturing songwriter. There is nothing here that would make any casual fan think “Oh, that sounds like Yachts without the plinky keyboards!” or “Oi, that sounds like The Christians with a sore throat!”. No, Henry has ripened with age and his musical vision reflects that. Sounding not unlike a jovial Bob Dylan, Priestman's music inches closer to the sound of his old label-mate Nick Lowe than any other of his former contemporaries. Henry’s songs are honest reflections of life, love and family. There’s some regret and sadness in there, but the album reflects a feeling of hope. Songs like “True Believer,” “Goodbye Common Sense,” “I Cried Today,” “We Used To Be You,” and “Valentine Song” are personal yet they are reflections of the common man. This isn’t all Mr. Softee, though. There’s plenty of sarcasm and wit in there that will leap out at you during repeated listenings – just like life, I suppose. Henry Priestman continues to be a relevant artist 38 years into his career. He’d probably hate to be referred to as an ‘elder statesman’, but if someone wants to learn how to be a proper songwriter, start following his career… you have a lot of catching up to do!